Even if these numbers were accurate (spoiler alert: they’re not), the claim rests on some rather faulty logic. Most obviously, the national economic conditions over the last eight years of Democratic control of the General Assembly were notably different than the subsequent eight years of Republican control. The Democratic period begins with a relatively healthy economy and ends with a historically damaging national recession that commenced near the end of the George W. Bush years. In contrast, Republicans have controlled the General Assembly over an extended period of economic growth that coincided in large part with the Obama presidency. Also, “share of state funding” tells you nothing about adequacy of state funding. In FY 08-09, the year before the Great Recession, per-student funding in North Carolina was 15 percent below the national average. In the depths of the recession, FY 10-11, North Carolina’s funding was 20 percent below the national average. According to the most recent estimates, North Carolina’s FY 17-18 funding remains 20 percent below the national average, as lawmakers have locked in lower funding for teachers, principals, instructional support, teacher assistants, textbooks, teacher training, and supplies. Whatever share of new money has been directed to public schools in recent years, it has been insufficient to close the gap with other states or provide schools with the level of resources they enjoyed prior to the Great Recession. But the more troubling issue is Speaker Moore’s attempt to deceive voters by using fake numbers. The table accompanying Speaker Moore’s press release describes the public schools budget figures – compiled on his behalf by the Fiscal Research Division – as “Revised net appropriation figures from each fiscal year’s Joint Conference Committee Report on Base, Capital, and Expansion Budget.” Few in the public will understand that means Moore’s numbers are derived from budget documents, but they are decidedly not the public school budget figures, nor are these the public school spending levels. 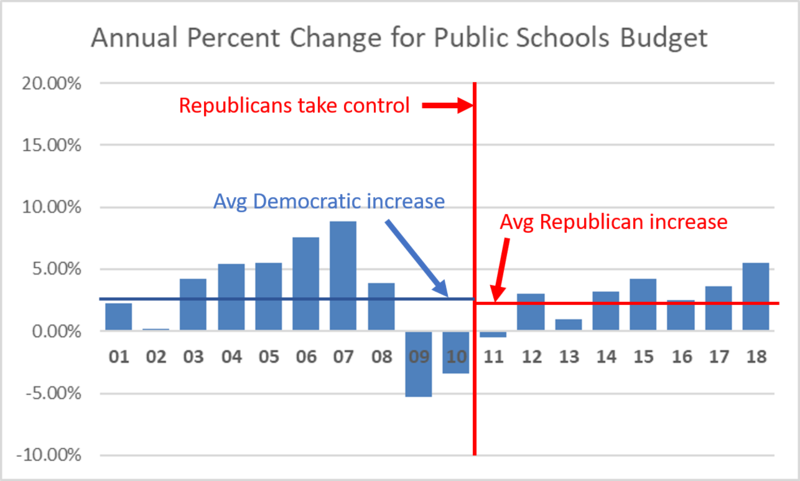 As the table below demonstrates, the figures he and Fiscal Research are presenting systematically under-count actual public school funding during the Democratic-led years. The issue rests on a technical change to how North Carolina budgets its funds for salary and benefits. Prior to FY 14-15, additional funding related to salaries and benefits for school district and Department of Public Instruction employees was initially budgeted in the “Reserves, Debt Service, and Adjustments” section of the Joint Conference Committee Report. 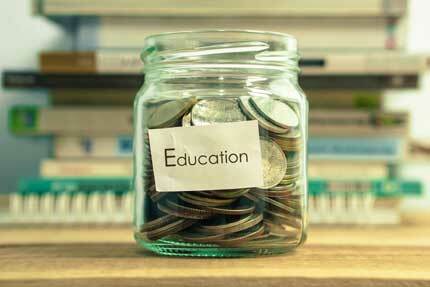 But these funds still became part of the public schools budget for the school year. Following passage of the budget each year, the Office of State Budget and Management added these funds back into the public schools’ budget as part of the budget certification process. This practice was changed in 2014, when the General Assembly began budgeting salaries and benefits of school and DPI personnel directly in the public schools’ section of the budget. In other words, the numbers chosen by Speaker Moore and Fiscal Research for fiscal years 2003 to 2015 were never truly reflective of the budget for pubic schools. They exclude new funding for salaries and benefits in all of the Democratic years, but do so in just four of the eight Republican years (technically four-and-a-half: the FY 14-15 figures exclude salary and benefit funding provided as part of the 2013 budget, but include the salary and benefit funding provided as part of the 2014 budget). Presenting these numbers as budget figures is an intentionally dishonest and shameful effort to deceive voters. Moore’s numbers face a second problem related to federal funds provided to North Carolina as part of the American Recovery and Reinvestment Act of 2009 (ARRA). A subset of the ARRA Funds, required states to reduce their education budgets, supplanting state funding for schools with the federal ARRA grant. As a result, North Carolina’s public school budgets were artificially lowered by nearly $400 million in both FY 09-10 and FY 10-11. 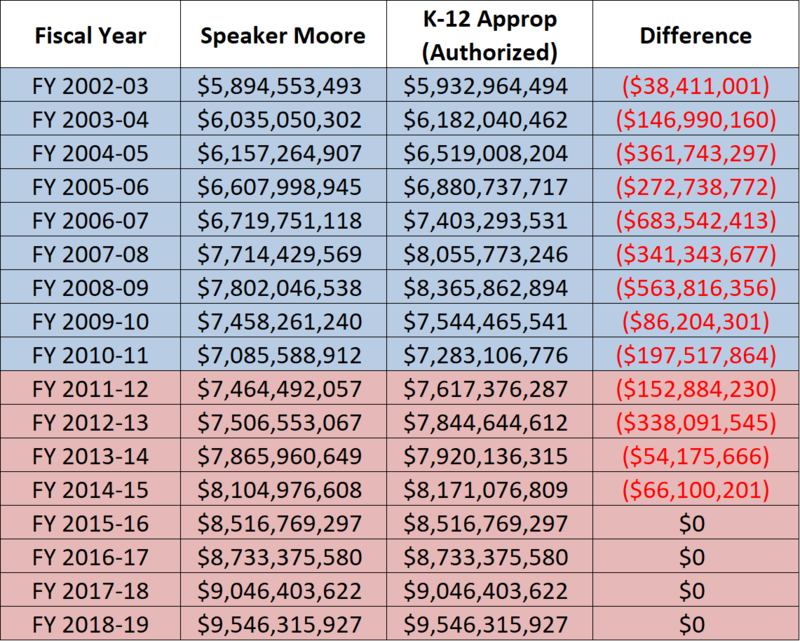 By excluding the federal ARRA funds, Speaker Moore artificially under-counts school funding in those years. 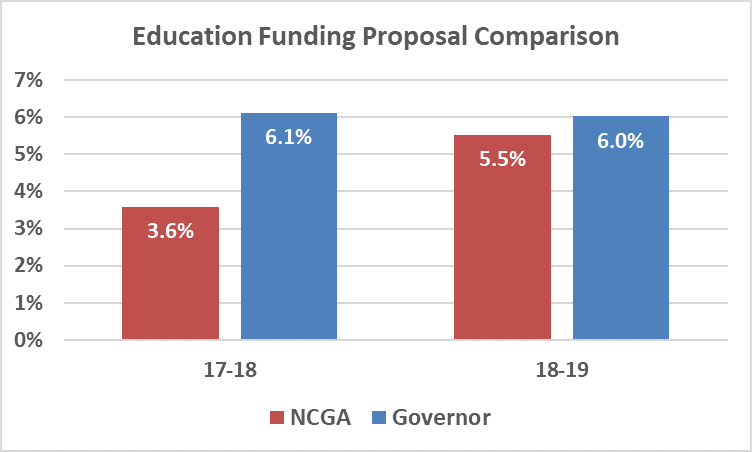 Absent federal rules requiring North Carolina to supplant state money out of its education budget, state funding would have been $380 million higher in FY 09-10 and $373 million higher in FY 10-11. When one examines actual authorized budget figures and adjusts for the ARRA funds, Speaker Moore’s weird talking point vanishes. Speaker Moore’s fake numbers indicated that Democrats directed 26 percent of new state funding towards public schools in their most recent eight-year tenure of General Assembly leadership, compared to 50 percent in the last eight years under Republicans. But when the correct figures are used, it turns out that Democrats directed 37 percent of new money towards public schools during their most recent eight-year tenure, compared to 38 percent under Republicans. It is especially disappointing that Speaker Moore tries to use the reputation of the nonpartisan Fiscal Research Division to lend credence to his figures. I was a Fiscal Research analyst from 2006 to 2016. During my tenure, there were instances in which Republican politicians tried to get Fiscal Research to endorse budget comparisons that, like Speaker Moore’s, dishonestly exploited the 2014 change in budgeting practices to understate Democratic budgets. Ultimately, Fiscal Research must provide General Assembly members with the numbers that they request, even if the figures do not provide a valid comparison. But the Division erred in labeling the numbers “appropriations” and not providing greater transparency that the table’s figures systematically understate the budget figures in Democratic years. With the fall elections now getting underway, it’s not surprising to see this new round of falsehoods. It will be interesting to see if voters are paying attention to the truth. Kris Nordstrom is a Senior Policy Analyst with the North Carolina Justice Center’s Education and Law Project.